Winter is all about wearability and comfort, but don’t make it an excuse to let go of the style quotient. Break away from conventional silhouettes and experiment with versatile trends like embroidered capes or structured peplums to beat the chill, say fashion gurus. Ace fashion designer Manish Malhotra, who has dressed up beauties likes Kajol, Karisma Kapoor, Kareena Kapoor Khan, Rani Mukerji, Aishwarya Rai Bachchan and Preity Zinta, feels one should stick to layering, but incorporate vintage hues. “Winter is all about comfort in style as we break away from conventional silhouettes and experiment with versatile trends that cater to a young global audience. 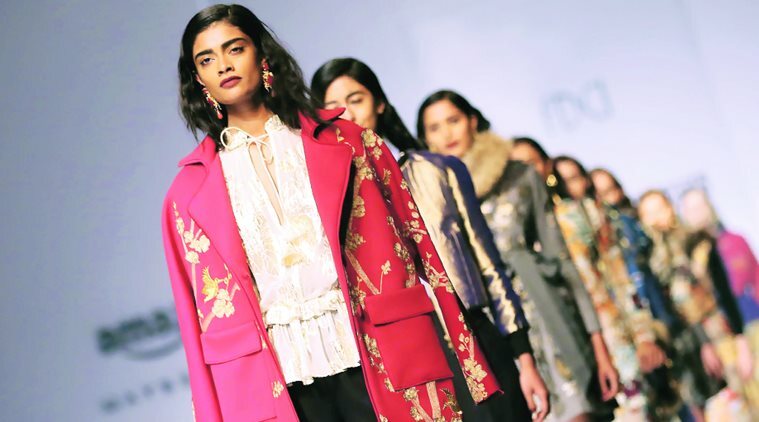 As we mark the beginning of festivities in India, my latest collection spotlights layering as the key highlight of the season; I love layering as a trend and I always incorporate it even in my personal style,” Malhotra told IANS. “Crafted in vintage hues of chrome, ivory, oyster grey and rose, organza capes, trench jackets, and silken kimonos draped over tea-length dresses and layered skirts add an innovative twist to the young, glamourous women. For the modern gentleman, cowl-necked kurta-shirts with embroidered dinner jackets and velvet drapes help accentuate European accent to the classic ensemble,” he added. Designer duo Ankur and Priyanka Modi, who established their brand AM:PM 15 years ago, believe in modern simplicity. “Winter is all about wearability, comfort and style and this season we break the monotony of traditional influences to introduce bold, power silhouettes as the versatile trend to adapt. Crafted in luxurious fabrics of velvet and silk, jackets, long or short, add an understated glamour to a classic silhouette,” they shared a joint view with IANS. A lot of people associate winter with black and grey. But try hues like pomegranate red and aubergine, says Deepshikha Khanna, Head of Product Development (Apparel) for Sustain, Good Earth, India. “At Good Earth, our design philosophy revolves around translating simple everyday luxury for fashion lovers across the globe. With the festivities ushering in, our Sustain range highlights fusion wear as the emerging trend for the winter season,” Deepshikha said.